A night on the tiles pickled beetroot ~ a hangover cure? A few weeks ago I asked for help, my friends came to the rescue with suggestions, emails and ideas for recipes. Summer evenings with the door open to the garden, music on the stereo watching the night creep in, prepping and preparing, bottling and stacking. Could we call it a pickle flurry? beetroot and cornichon (gherkins) stacked up in the cupboard, a ready reminder of summer colour. I have so much to look forward to, especially when I think of my favourite eating suggestion; it came through the blog and hailed from Scandinavia, from Denmark and Sweden to be precise. Pickled Beetroot are eaten with fried potatoes and eggs as part of a hangover cure. Don’t you just love that idea! That there is a tried and tested dish to eat after a night out on the tiles. A word about the recipes – I scaled all the recipes down and in all honesty played a bit with the spices, who wouldn’t? I also haven’t included all the recipes, I’ve added links as this post was starting to read like a Compendium of Pickled Beetroot ! 1 (2-inch piece) of fresh ginger, peeled and thinly sliced. They simmered the beets in water until tender.Drain and rinse, rub skins off. Cut into wedges. Then combine the brine ingredients and bring to a boil. 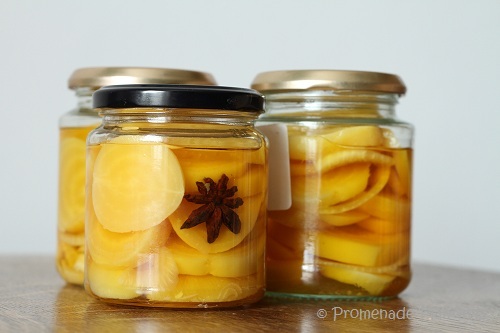 I think you make sure a few slices of ginger get into each jar when you pour. Probably discard the cinnamon stick..
I’ve not made this, but it’s in a book I have!! And now I just need to put this theory to the test……. Hmmm, I guess that would work as a hangover remedy…I do a salami sandwich. Did. I mean, that’s what I used to do. Way back when…. 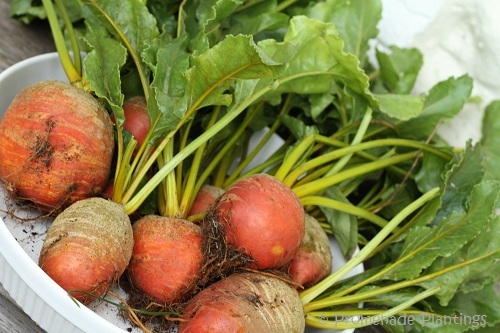 Gotta love beetroot – from raw to steamed to pickled – all scrumity! AND a handy handover recipe, even better! he, he, I was trying to remember who it was who’d written about tinkering with recipes, it was you !! Hi Smidge, yes it’s Star Anise, I’m hoping the flavour works well with the beetroot! Thanks for the suggestions Claire. I do hope to try some of these, if only I could stop burning my beetroot because I forget that they are on the hob! That’s not a great start Val 🙂 But I do know exactly what you mean – I end up sitting in the kitchen, with the timer on doing other stuff, otherwise, yes I forget them too !! Hope the outcome is more successful than your first try. They do look good. BTW, am I seeing ads on your blog now? Hi lulu, I ate some from the first batch last night and they were good, I’m hoping that these are even better. and yes there are some adverts on the blog, I’m trying them out, to be honest I’m not sure what I think of them. The tricky thing for me is that I’m freelance so every penny helps, but I’m not sure or comfortable with “monetixzing” my blog….. as I say a tricky one. Any ideas ? Guess what? I resowed beets and might even get a handful! I rather imagine they will not make it to the pickled stage, but I can dream big for next year. Oh, what lovely jars of beautiful beets! Thank you Cindy, I’m hoping the yellow ones give me a burst of sunshine in winter! How I love pickled beets! and it took me most of my adult life to “love” them! thank you for the recipes and the links! The only reason I liked them as a kid was when we used to visit my grandparents in north Wales, they had a great implement that you used to pick a pickle up and then deposit it on your plate. We were obviously only allowed to do that if we ate them !! I never considered beetroot as a hangover cure before and God knows i’ve had a few. I’m not sure how it would stack up against a bacon sandwich – shall suggest to the Mrs the next time we over-indulge! Pickled beet root as a hang over remedy is new to me. I imagine the tang would at least begin the waking up process! I just had to share the theory with everyone !! Well, now I know where to come when I decide to pickle some beet(root). You really did take advantage of your harvest and a bounty of recipes. I doubt that I will be doing any beet(root) pickling this year, though. I’ve been doing quite a bit of canning and am at my limit already. Next year, though, watch out! Then again, if anything might persuade me to pickle a few jars, it would be that hangover cure thing — not that I ever need one. I would give them to a friend. Yeah, that’s it. A friend. Although they look pretty, I will trust you that these pickled beets are a hangover cure. 🙂 I had it on good authority, I’ve yet to test the theory ! Alright… I now must get blind drunk and try this tomorrow! It’s a hard life, but someone has to do it…….. I went fairly easy on the cinamon, I din’t want one flavour to overpower another… fingers crossed Debra ! beetroot for a hangover- if that don’t beet everything! Frankly, that hangover-breakfast suggestion sounds good enough to convince me to overdo on the occasion just for the excuse!! Love the star anise in the yellow beet roots. I would eat these yummy beets even if I did not have a hang over. I’m lookinng forward to trying the Anise flavoured ones too BAM. I’ve been eating th epickled beetroot on crakers with salami, works a treat regardless of how I’m feeling ! Beautiful! Love pickled beets, and my new fave are gingered beets. Yum! Hi Karista and thanks for popping in ! I’ve made a batch with slices of ginger on the recommendation of a fellow blogger and can’t wait to try them. As you say Yum !